Find the alternate way that helps find your device’s UDID number without iTunes or MAC/PC or Using iTunes. Apple Using and assign a different code for identifying the device for different purposes like Serial Number, SEID code, Bluetooth or Wi-Fi Address and UDID number. 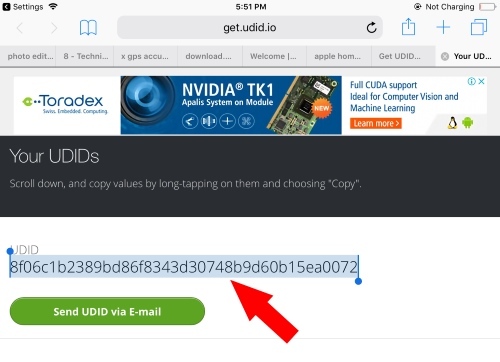 UDID is the unique identifying number that uses apple developer program to test app development. Go to this link: UDID, Open in Safari web browser. 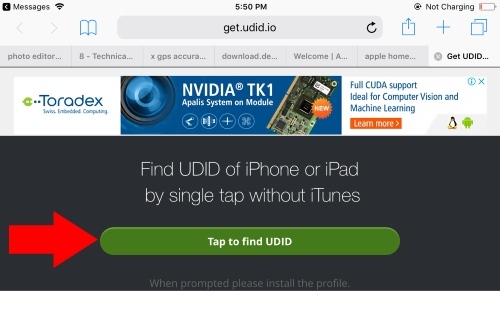 Tap on Green button, Tap to find UDID. Next Screen is Settings Profile, Install Profile by the tap on the profile. Now you will get the UDID number on Safari browser page (Get Back Redirect to safari page from iOS settings screen). 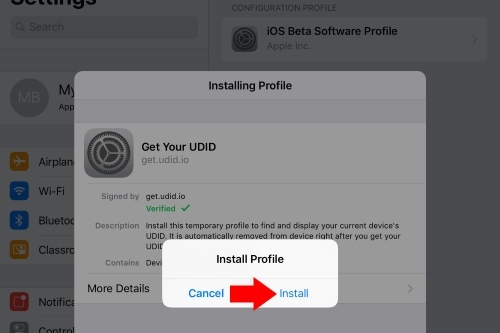 Also Follow: Remove UDID Profile on iPhone, if installed. 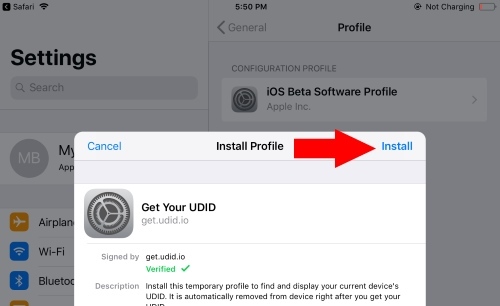 Go to the Settings app on iDevice > General > Scroll Down “Profile” > Tap on Profile Name > Remove Profile. That’s it. Connect iPhone/ iPad to iTunes on Mac or PC. Note: Unlock screen to access your Device on iTunes. Find Device in iTunes on the top left corner. Under the Device summary, you can see the Serial number, Click on Serial number toggle then change to UDID number. Copy (Command + C on Mac and Ctrl + C on PC) this number and use it for registration. 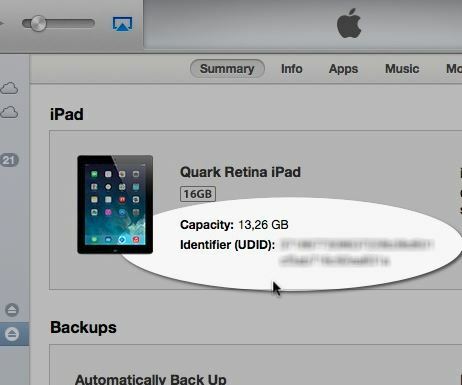 There are plenty of iOS app and Third-Party website for find hardware configuration of your iPhone, iPad, iPod or Mac. Try only trusted source for find UDID on iPhone X/8/8 Plus/7/7 Plus.